Attorney Stephanie Fierro of The Frutkin Law Firm, PLC Discusses Common Estate Planning Errors in the April Issues of ‘Attorney At Law Magazine’ and ‘Public Accountant Magazine’. A surprising number of people believe that they can avoid the need for an estate plan by naming an adult child as a current co-owner of their property. In seeking to limit problems, a host of problems are inadvertently created. In the role of associate editor of both ‘Attorney at Law Magazine’ and bi-monthly trade publication ‘Public Accountant Magazine’, Attorney Stephanie Fierro of The Frutkin Law Firm, PLC composes interesting articles to benefit those in related practice areas and industries as well as the general public. In this month’s issue, Attorney Fierro illustrates the common estate planning errors and how to avoid them when creating and updating an estate plan. Fierro is an associate attorney with The Frutkin Law Firm, PLC. 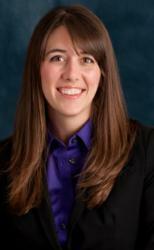 Her practice focuses on estate planning and general counsel business law. Stephanie enjoys helping her clients plan for the future. The Frutkin Law Firm consists of nine attorneys with decades of combined experience in the core areas of business law, bankruptcy, estate and tax planning, and civil litigation. For more information on The Frutkin Law Firm, PLC visit http://www.frutkinlaw.com.